SaberHacer.com has produced seven beautiful and informative short videos about the citizehship process. Watch the Scam video above and check out the other videos in English and Spanish below. Brava SaberHacer! 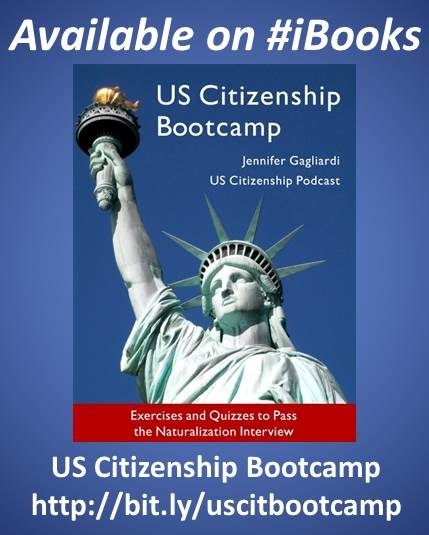 Land of Liberty is a new text book that prepares low-level ESL students for their Citizenship interview. Land of Liberty can be customized to include your own Governor, Senators, & Representatives! 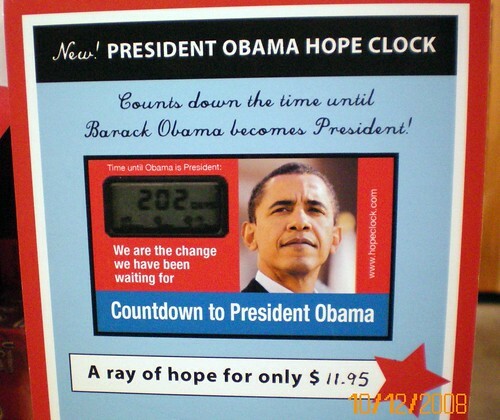 No additional charge! Click here to find out how! 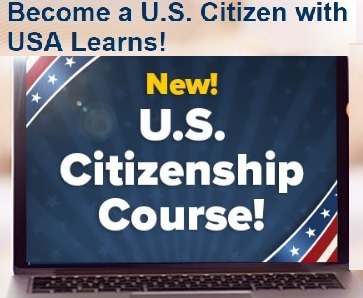 San Francisco Public Library has produced short videos about US Citizenship Resources featuring multilingual guides, exam practice questions and community resources for the new US Citizenship Exam. My students constantly ask me for more listening exercises. 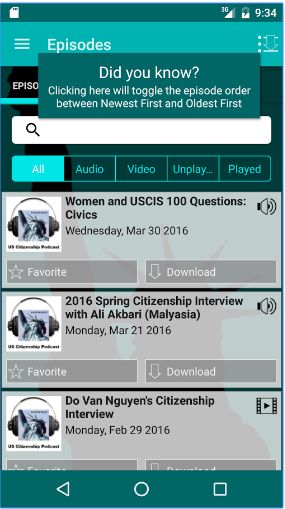 In my opnions, ESLPod.com is one of most valuable ESL sites on the internet. The president of the United States has his own special security protection, special police officers who are responsible primarily for protecting the president and the vice president from any danger. 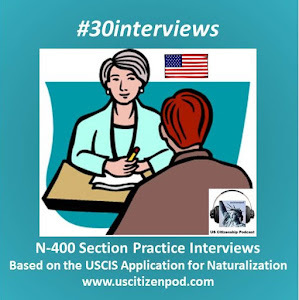 **Check out USCitizenPod's 06/29/08 post which links ESLPod shows with the different sections of the N-400. The Smithsonian National Museum of American History Reopens Nov. 21! When the National Museum of American History reopens, it may begin to shed its reputation as one of the more cramped and confounding corners of the Smithsonian Institution. Sign spotted on the 680N 10th St Exit. Most people who pass by are on their way to SJSU. Xu Shang Xia was born in Canton, China in 1930. He became a psychology professor and taught in universities in Beijing and Guangzhou. He suffered terribly during the Cultural Revolution, but refused to compromise his intellectual freedom. Professor Xu and his wife, Yang Baoyu, immigrated to California to help take care of their grandchildren. He and his wife would alternate babysitting duties during the day so that the other could go to ESL class in the morning. 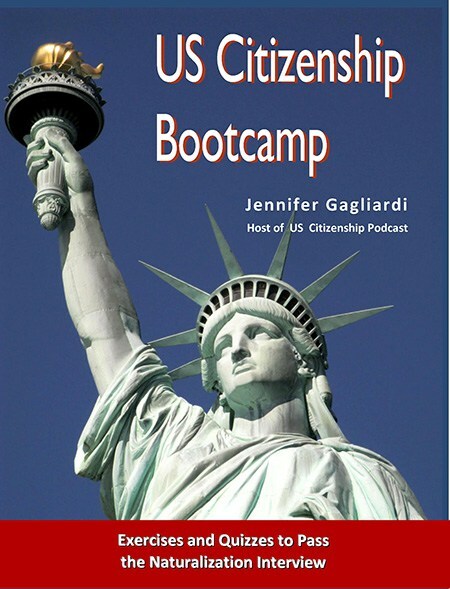 In the evening, they would walk over a mile to school to attend citizenship classes. They were diligent and faithful students, true role models to other students and inspiration for their teachers. On the evening before his Oath Ceremony, Professor Xu and Mrs Yang attended the Citizenship class to talk about their Citizenship interviews. Mrs Yang passed last year, but Professor Xu delayed his inteview for health reasons. 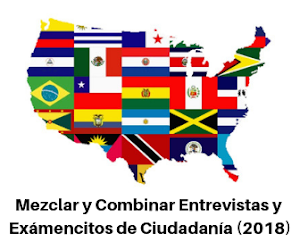 They both passed the interview easily because they had made a tremendous effort to study, understand, and practice English and Civics questions and answers. Examiner: Have you travelled outside of the United States in the past five years? 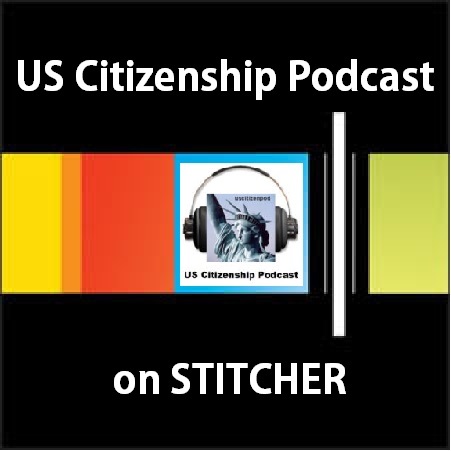 Examiner: Have you travelled outside of the United States during your permanent residence? Examiner: If this is true, why do you have so many "stamps" in your (PRC) passport? Professor: I was a visiting scholar before. Examiner: What was your field of study? Examiner: Were you a psychiatrist? Professor: No, I was not a psychiatrist. A psychiatrist is a doctor; I was a psychology professor. Examiner: What schools did you visit? Professor: University of California at Los Angeles. Examiner: What did you do at UCLA? Professor: (Universities) exchange teachers. I studied psychology. The USCIS Examiner seemed satisfied with the answers--he immediately moved to the 96 questions which Professor Xu easily aswered. I am so proud of Professor Xu because he answered the "surprise" questions clearly and calmly. USCIS examiners are not trying to trick people. 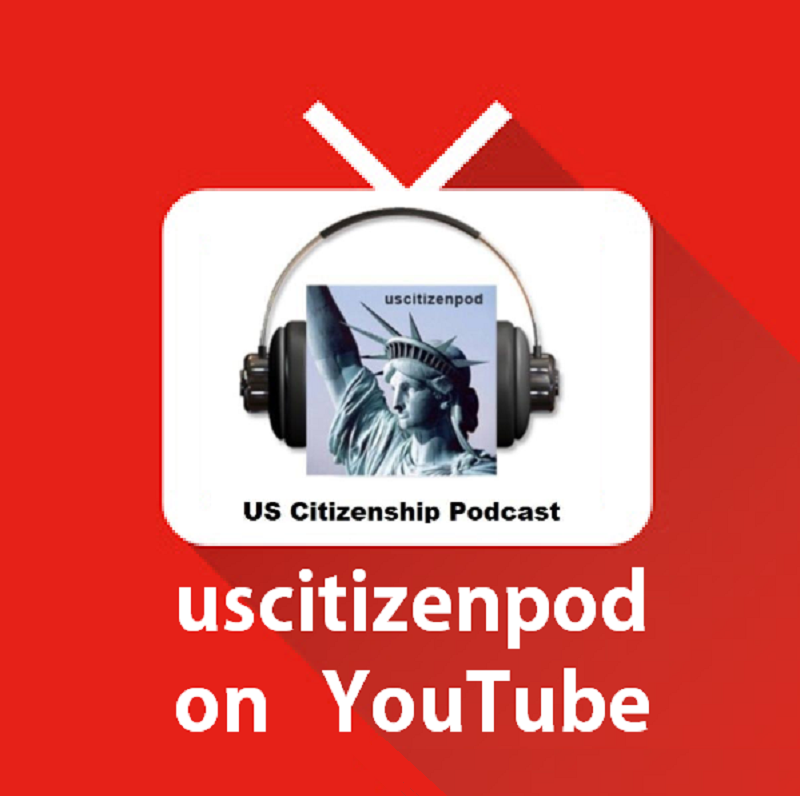 The USCIS examiner asks more questions to make sure that everyone follows the law. 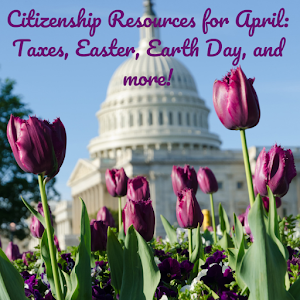 Review your N-400 and supporting documents (passport, marriage/divorce certificate, etc). Think about what kind of surprise (or embarassing) questions you could be asked. Practice these questions and answers. Stay calm. Answer each question simply and truthfully. 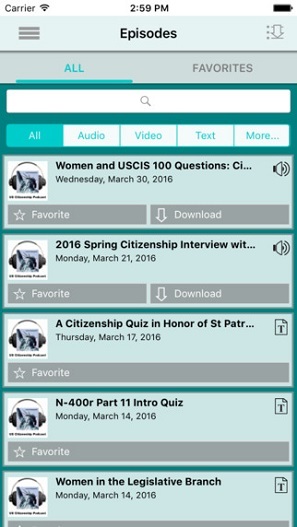 Here is the first podcast on the new 100 Questions (USCIS 100). CNN: History shines in Washington, D.C. 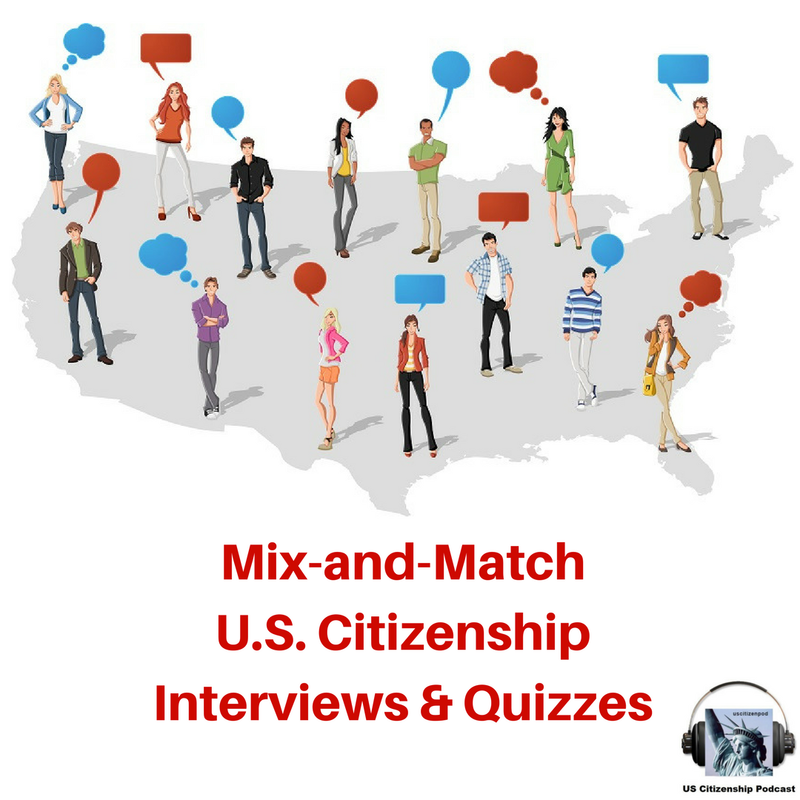 Some students need extra help with English in preparation for their Citizenship Interview. One of the very best video resources for basic English is EASY English, available in multiple formats: VCR, DVD, CD-ROM, and broadcast television (PBS, HITN). EASY English videos and workbooks are also availabe through local libraries and Distance Learning programs. The Basics: Alphabet, number, colors, calendar, To be. Interactions: Greetings & introductions; Wh?’s, to be, pronouns. Feelings: How are you? Small talk. At School: People, places and things in a school. More "small talk." At Home: Intro to family relationships and a tour of home. The Time: Telling time & daily activities. Your Community: DMV, Form-Filling, Money & Directions. Health Care: The Body, Family Health & Medical Visits. Personal Finance:Banking, Budgets & Shopping. Around Town: Driving, Housing, Govt. & Phone Skills. Education: People, Services & Parent Involvement. Employment: Finding, Getting & Keeping a Job. Watch more video clips here. For further information about the First, Second, a *NEW* Third Series (Hotel Work), visit EASY English. 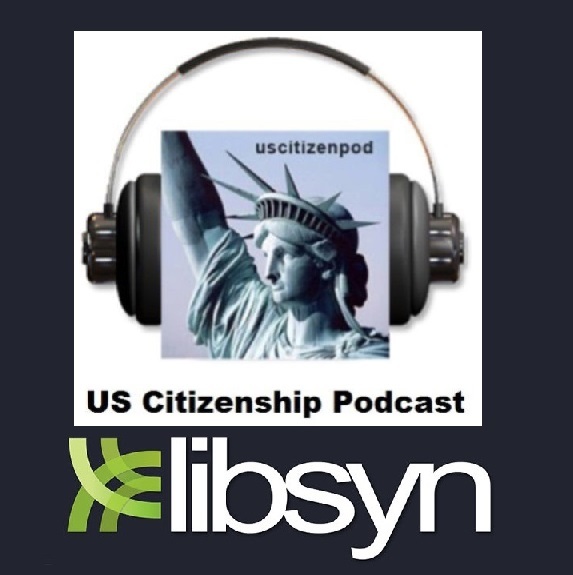 Congratulations to recently naturalized US Citizen, John Dicker, President of Greenfield Learning and Executive Producer of Easy English, on the release of EASY English 3. KUDOS! 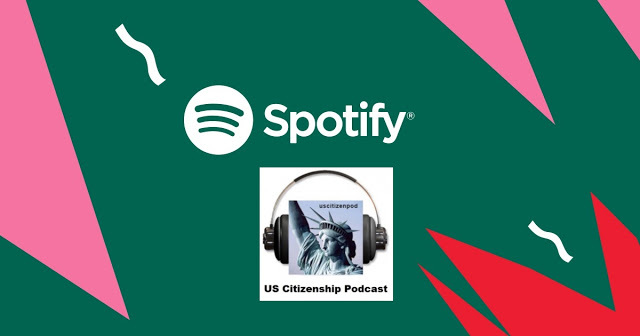 Follow a diverse group of immigrants and refugees as they leave their home and families behind and learn what it means to be new Americans in the 21st century. 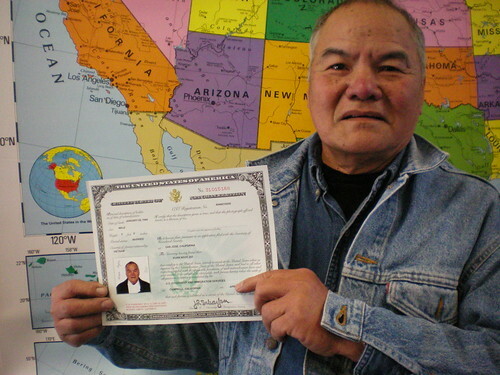 New Citizens: Mai Anh & Hoanh! 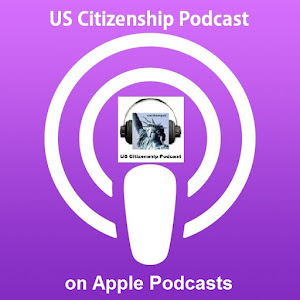 Today we will listen to our twelfth practice interview (plus election prediction) with Chau Hoanh Chieu (Saigon, Vietnam). The questions are based on the N-400. Here's a link to the pdf. of the Basic Interview. or vote with the Practice Electronic Ballot.